The "Sovereign Harmony Experience" is a program I have personally designed utilizing the algorithmic Trinfinity8 DNA rejuvenation tool! I have defined "Sovereign Harmony" as a state of conscious, balanced & self-sustaining free-creation achieved through wholeness, allowing for the release of the perceptions of incompleteness which exist at the core of all unconsciously projected imbalances and which create the experience of disharmony. The Trinfinity8 system has been thoroughly researched and results show surprising beneficial improvements to human DNA. 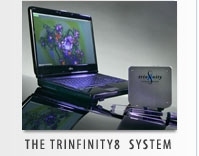 Trinfinity8's unique technology allows for streams of coded data to be transmitted through a computer's USB port which have a positive effect on damaged DNA codes. The "Sovereign Harmony Experience" uses a unique combination of coded data to elicit an experience of releasing oppression while aligning masculine and feminine energies toward an experience of wholeness according to the Phi ratio in sacred geometry. It is designed for both business owners and their employees as well as individuals desiring to align with their personal truth...AND it can be performed REMOTELY! 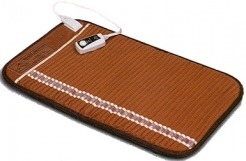 The Bio-Mat Amethyst™ system is a state-of-the-art FDA-approved medical device (U.S.F.D.A Medical Device No. 2954299) that delivers therapeutic Far Infrared Rays and Negative Ions, relieving pain and restoring balance and energy to the human body. It was developed by a highly skilled group of scientists, medical professionals and engineers. Many Insurance companies consider the Bio-Mat Amethyst™ a viable treatment option for pain as well as other musculoskeletal problems. Click HERE for more information on the 'Sovereign Harmony Experience' using the Trinfinity8 system!